WJSN is appearing at KCON consecutive 3 years! Girl group WJSN is going to appear KCON 2019 Japan for the third consecutive year. 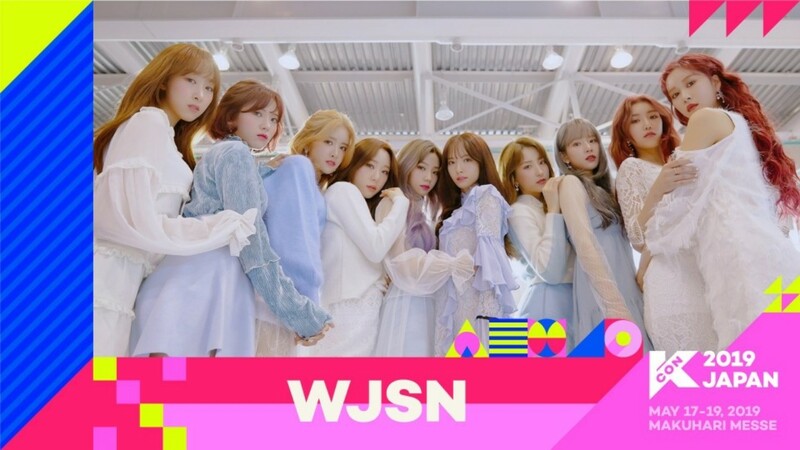 Starship Entertainment announced on the 21st that the WJSN will attend "KCON 2019 JAPAN," which will be held on May 18 at the International Exhibition Hall in Chiba Makuhari Messe, Japan. This marks the third consecutive year that the WJSN will appear on the KCON 2019 JAPAN line up from 2017 to this year. In addition, the WJSN has been attending KCON in various countries besides Japan, proving their high global popularity. Based on this, the WJSN will present a spectacular performance to local fans with the music of their signature dreamy and mysterious concept at the upcoming "KCON 2019 JAPAN" in May. WJSN debuted in 2016 with "MoMoMo," has risen to become a popular girl group by releasing "I Wish," "Dream come true," "Save me Save you" and "La La Love" based on their unique worldview and concept. Music with the group's unique dreamy melody and colorful performances is loved by K-pop fans. The WJSN will perform at "KCON 2019 JAPAN," which will be held at the International Exhibition Hall in Chiba Makuhari Messe, Japan on May 18.